The same morning that started at 5:30, but this time a photo from an earlier hour. 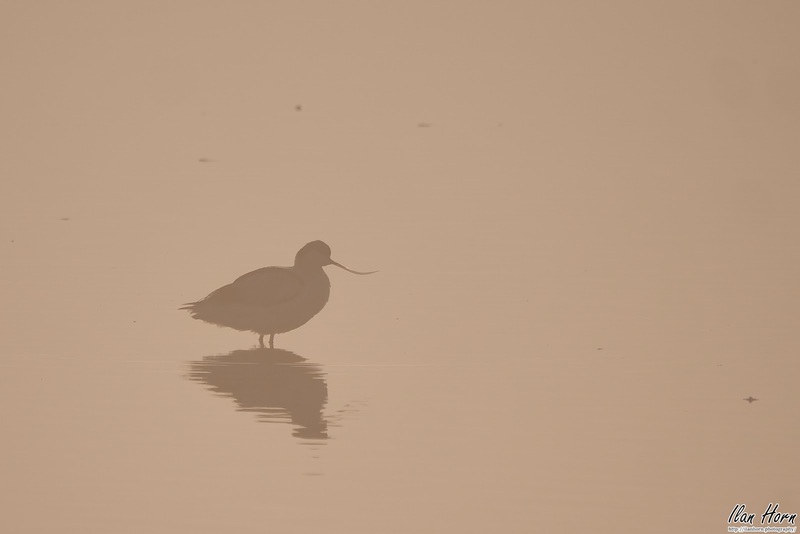 We were observing the cranes in the water, and suddenly noticed this single Avocet close enough to be visible through the fog. The early morning hour painted everything in orange, adding to the mystical feeling. What do I like about this photo? The mystical atmosphere, with the orange colors, and the bird barely visible in the fog. Barely visible, but the shape is clear enough to show the beauty of this unique bird. The little glimmer of light on the beak is my favorite. What would I want to improve? A little less for would have kept the atmosphere but made more details visible on the bird. That would probably have made the photo a bit better.